Planning to propose but no idea as to how to go about it? These Singapore companies can give you a hand. Planning to propose but no idea as to how to go about it? These five proposal planning companies are here to help you from start to end. Just prep your vision (and budget) and they will plan the rest for you! Just like its namesake, this company seeks to get you married! 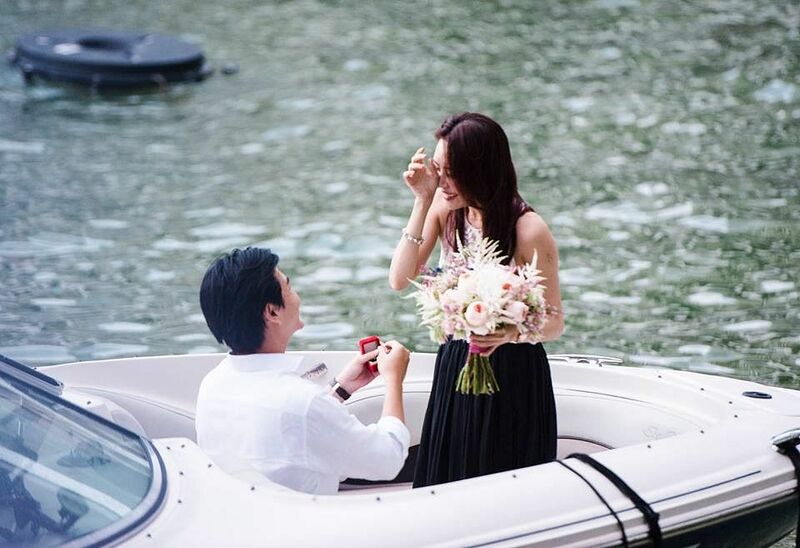 A professional marriage proposal planner and imaging company, and the first of its kind in Singapore, their services began from idea development to execution and photography and videography services. The experienced team have guided the hands of lost but well-intentioned grooms since 2012, with more than 60 proposals successfully executed since. “With our team of proposal architects, we treat each proposal as our fruit of labour and we go the extra mile to ensure it will be special, sincere and symbolic. This packages includes ideas, operations (sourcing, liasing and coordination) and photography and videography services. Their photography services includes a before, during and after shooting package that captures the moments from prep to post proposal, as well as full photo editing. Your entire process will be captured on video from start till end. The team will also set up hidden cameras around the proposal set-up along with wireless mic placements. A Singapore based company with local teams in six different countries (Thailand, Indonesia, Philippines, France and Italy), LYNX have pulled off hundreds of proposals since their inceptions five years ago. “As we found our niche in marriage proposals, we are mastered in creating magical moments with fresh, unique and creative ideas for each and every proposal. They provide you with three original ideas and once you’ve picked your chosen scenario, they’ll give you the guidelines (timeline and schedule). You’ll have to do the work based on the guidelines given however. Pick from their list of classic proposal choices – be it a sunset picnic, a romantic set-up in a hotel room or a private dinner and they will make it happen for you. 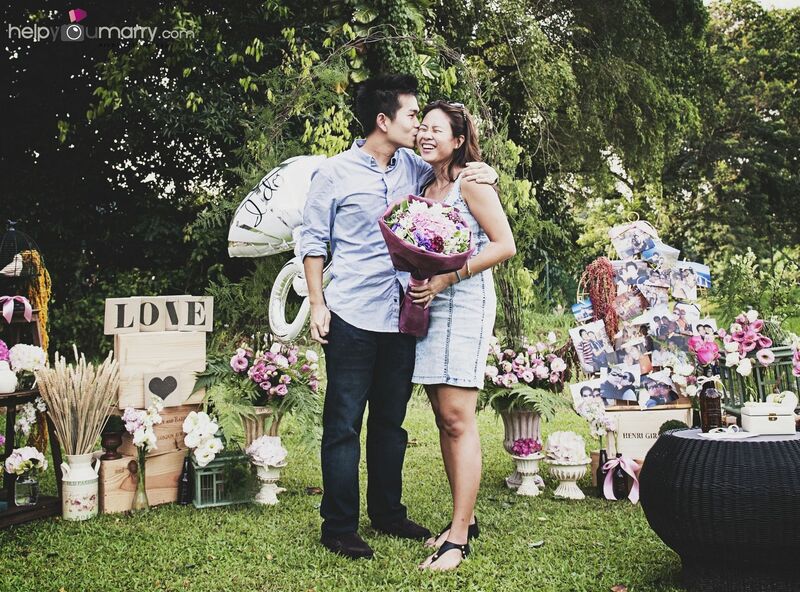 With this package, the LNYX team will cover all the bases for a successful proposal. Services includes unlimited ideas generation, preparation and coordination and there’ll be even back-up plans on standby. Their most premium package, expect nothing less than the best. Package includes complimentary Dom Perignon, Beluga caviar, private chauffer, personal butler, in-room nail art, dedicated concierge and more. Needless to say, everything will be covered by the team, from preparation to execution. Calling themselves joyful celebration stylists, the talented people behind Invited covers a spectrum of styling services that includes weddings and proposals. A floating window frame as a backdrop that works together with the environment and not compromise on the magnificence of the vast waters of East Coast as part of a romantic beachside proposal set up. Drop us a mail at occasions@invited.com.sg or call 9771 2011 if you have a proposal in store and a location in mind - we'll take it from there! Each proposal is truly personalised and unique to your love story thanks to their expansive inventory of props and updated styling trends. "We use only bespoke, high quality décor and expertly sourced props to deliver your story in striking, picture-perfect moments that will last a lifetime." From specially hand-made props to fit your theme, providing a complete set-up for your special event and more, Years & Co. definitely brings a highly personal and customised approach to your celebrations. 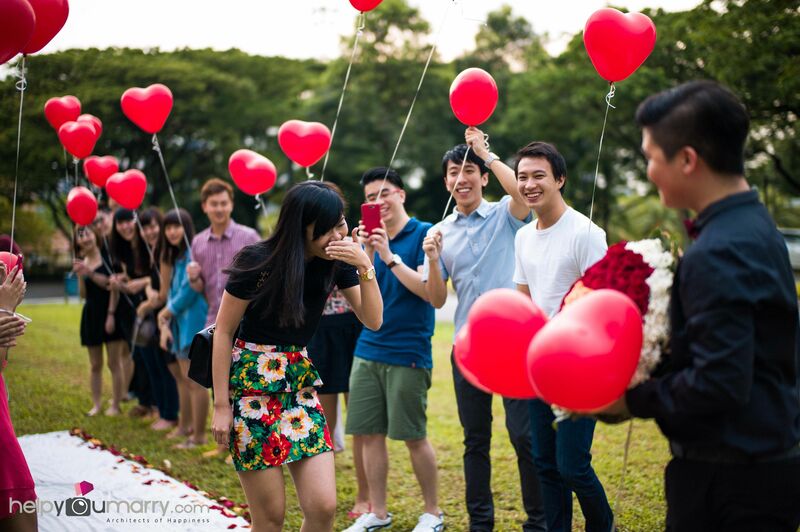 A man with many (party) hats, events and proposal planner Putra of @rainbowthree on Carousell, offers an affordable proposal planning service that starts from SGD$200. 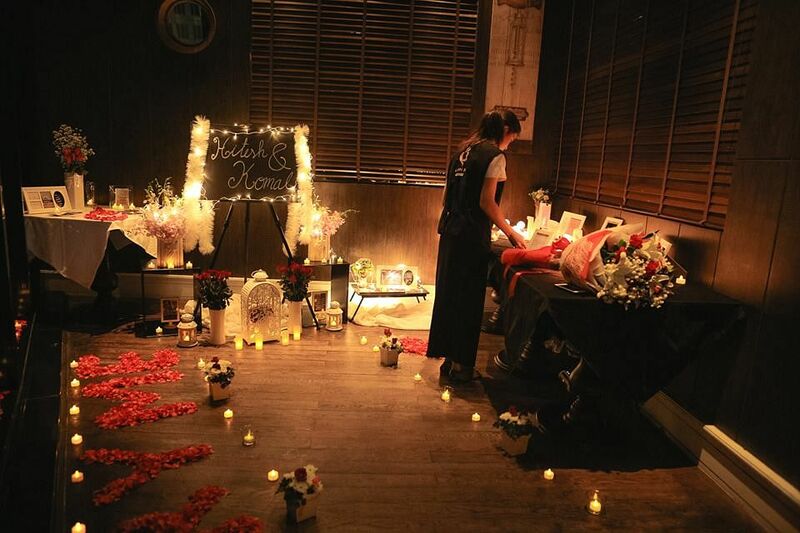 While he started out selling party and wedding decoration, many of his clients began asking for his help with their marriage proposals as well. Alongside with his wife, the duo provides sourcing of decoration, reservations, delivery, installation of set-up and tear down; ensuring that your partner will be greeted by a sweet romantic set-up at the end of the day. Are those just wedding jitters.... or something more? Casual to grand: Swoon-worthy celebrity proposals! How 10 married couples met!